“At Seagate, we’re constantly pursuing innovative ways to address our customer needs so they can gain a competitive edge in whichever field they play,” added Harb. The BarraCuda SSD is equipped with flash-speed function up to 560MB/s and 90K IOPs that accelerates boost-time, file transfers and application loading. With a standard 2.5” form factor with SATA 6Gb/s interface, the SSD can be easily integrated into most laptops and desktop PCs. The recommended retail price for 250GB, 500GB, 1TB and 2TB BarraCuda SSD is $99, $159, $319 and $679, respectively. The LaCie DJI Copilot is a complete backup on-set solution that enables drone users to review their content without a PC. 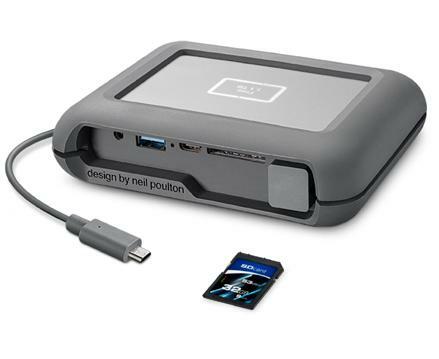 The built-in power bank also allows creative professionals and consumers to recharge their mobile devices on the go. With 2TB of storage, the LaCie DJI Copilot enables users to easily store up to 60 hours of 4K 30fps video footage and 20K+ RAW photos. The LaCie DJI Copilot is available now for $549.95. The LaCie Rugged RAID Pro offers up to 240 MB/s in RAID 0 and RAID 1. With the new integrated SD Card Reader, creative professionals can quickly offload content with the quick import toolkit. 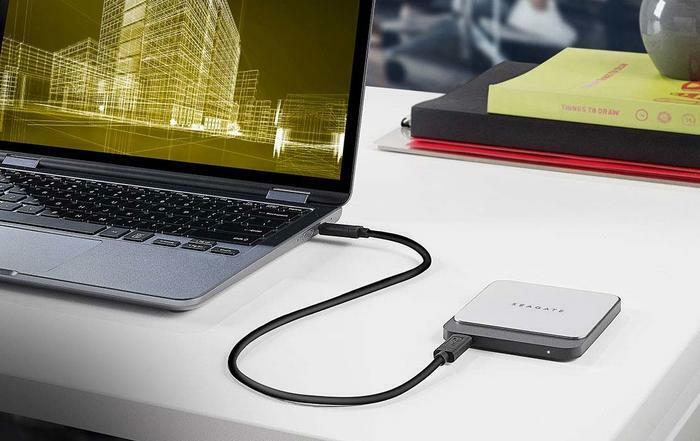 The Rugged RAID Pro is designed with the latest USB-C connector and is compatible with next-generation Thunderbolt 3 computers but also backward compatible with USB 3.0. 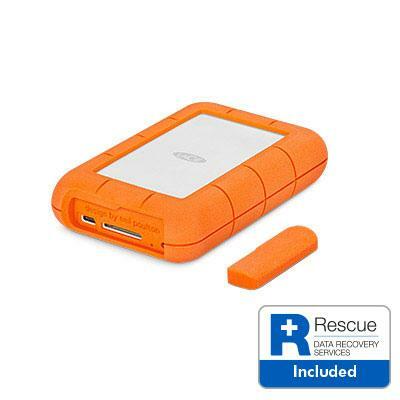 The LaCie Rugged RAID Pro 4TB is now available for $549.95. The LaCie Rugged Secure is the first Rugged drive to include hardware encryption using Seagate Secure technology. A simple disconnection of Rugged Secure from a computer will automatically lock the drive and access to the data stored and will remain password-protected via new Toolkit software. 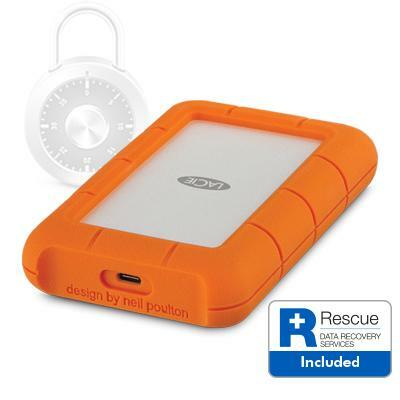 The LaCie Rugged Secure 2TB is available for $219.95. 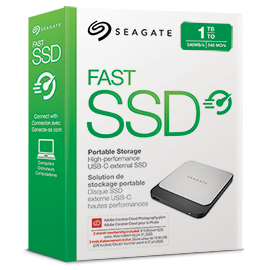 The Seagate Fast SSD is an ultra-portable flash drive that teams fast performance of up to 540MB/s transfer rates, with shock-resistance and USB-C connectivity as well as backwards compatibility. 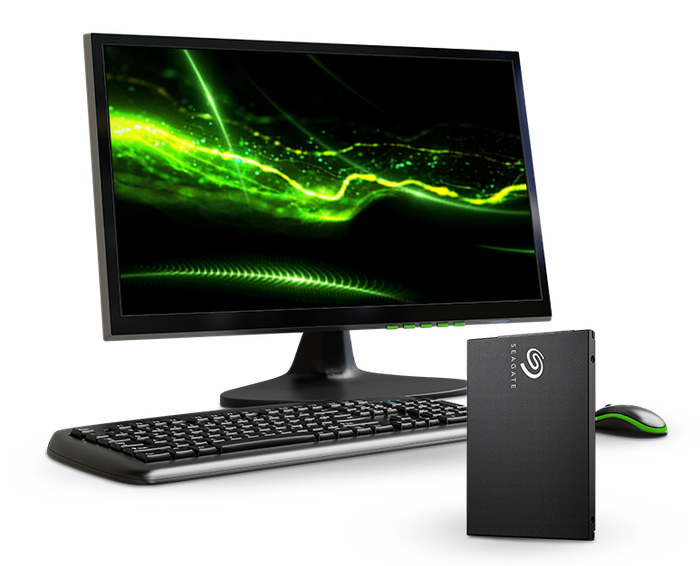 Users can backup or sync their content using Seagate’s new Toolkit software. Available in September, the recommended retail price of 250GB, 500GB and 1TB capacities is $189, $269 and $569 respectively.